When it comes time to buy a new vehicle, Oak Park car buyers will be tasked with sorting through various insurance options to protect their investment. Gap insurance if one of the many optional insurance choices car buyers can choose to obtain. So, what does gap insurance do? Put simply: it is designed to cover the gap between the owed amount on the car and the true cash value of the car at the time of an accident. Discover what gap insurance covers and how it can keep you protected in Niles. The main takeaway from the question ‘what does gap insurance do?’, is that it is meant to cover a total loss in the event of an accident. While it is considered optional coverage, it is one we recommend to protect your financial investment. While gap insurance isn’t required, it is highly recommended if you are purchasing or leasing a new car. Gap insurance is especially helpful if your dealership offers a plan that includes deductible coverage. Having this insurance will give you peace of mind, and help you save money, in the unfortunate event of an accident. Speak with our Chicago financing team to talk about buying gap insurance. Whether you’re just starting to look at new vehicles or are ready to make a purchase, it pays to have the knowledge about various insurance plans. The right coverage can prevent headaches and save you money down the road. 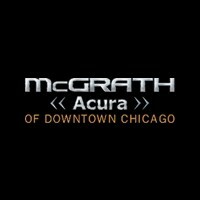 Visit us today in Chicago, or simply contact us online with any questions you may have!